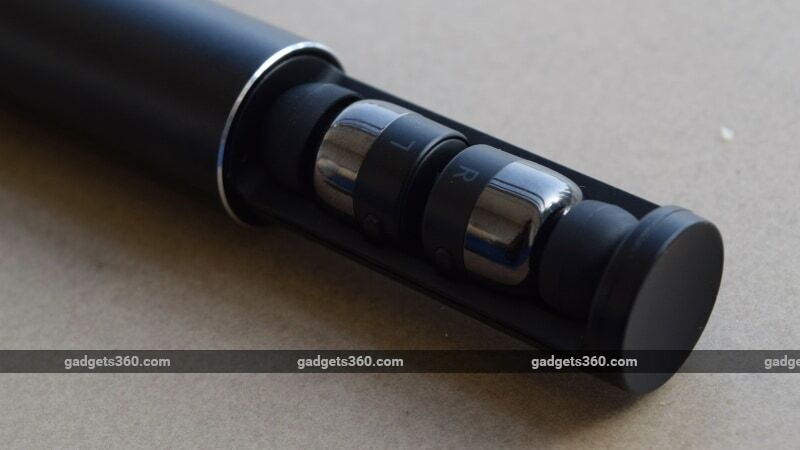 The Nokia True Wireless Earbuds are among the smallest of their kind but are they any good? While many major headphone manufacturers do sell wireless and truly wireless earphones, an increasing number of smartphone makers have taken to the market in recent months. It all started with the Apple AirPods, which although not the first truly wireless earphones, have been credited with making this kind of product popular. The obvious inference is that smartphone makers' audio products — though built using popular standards — will work best with their own smartphones, which is why we've seen brands such as Xiaomi and Samsung get into the space. The latest in that list is HMD Global, which recently launched the Nokia True Wireless Earbuds. Priced at Rs. 9,999, the True Wireless Earbuds offer simplicity and ease of use, along with above-average battery life. 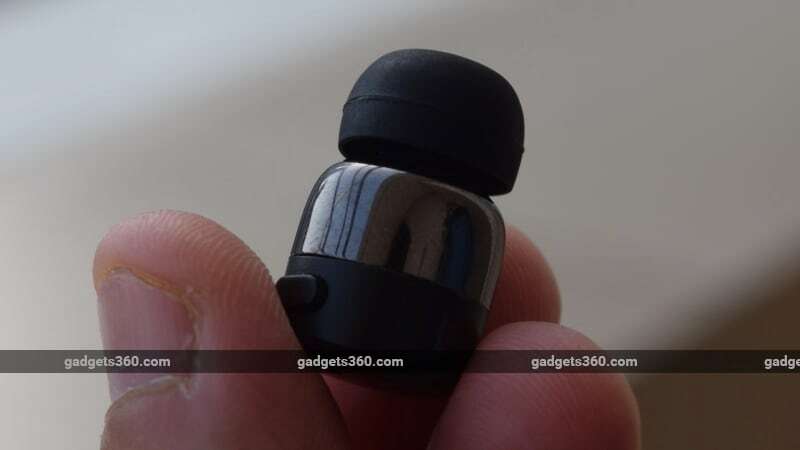 We review the Nokia True Wireless Earbuds to find out if these earphones are indeed a better option than the recently launched Samsung Galaxy Buds, Apple AirPods, and any of the other high-end options available today. 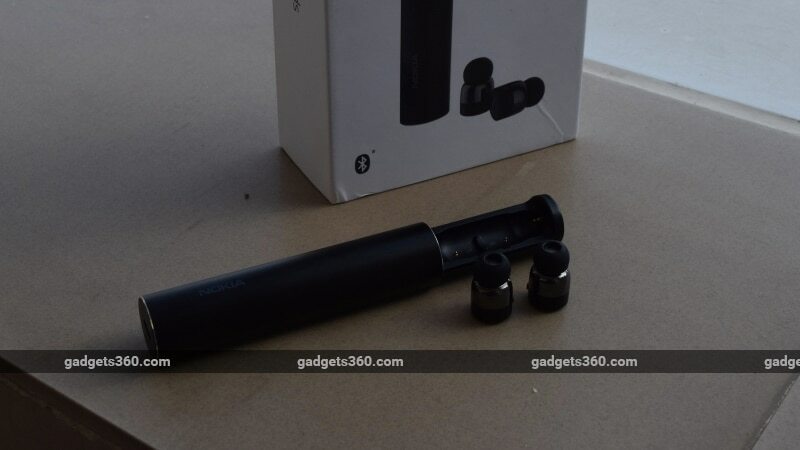 Truly wireless earphones are typically larger than the earbuds of regular wireless earphones, but the Nokia True Wireless Earbuds defy that expectation with very compact casings. The earbuds aren't discernibly larger or heavier than even the earbuds of typical wired earphones, which is quite an achievement given that each one has to have its own battery and circuitry inside it. While much of the casings is metal, their backs are plastic and each one has a Nokia logo and microphone hole. Each earbud has a button and ‘L' and ‘R' markings as well. The sales package includes the Nokia True Wireless Earbuds, the cylindrical charging case, a USB Type-C charging cable, two extra pairs of silicone ear tips, and instruction manuals. The charging case is quite unique compared to what we've seen from competing products. 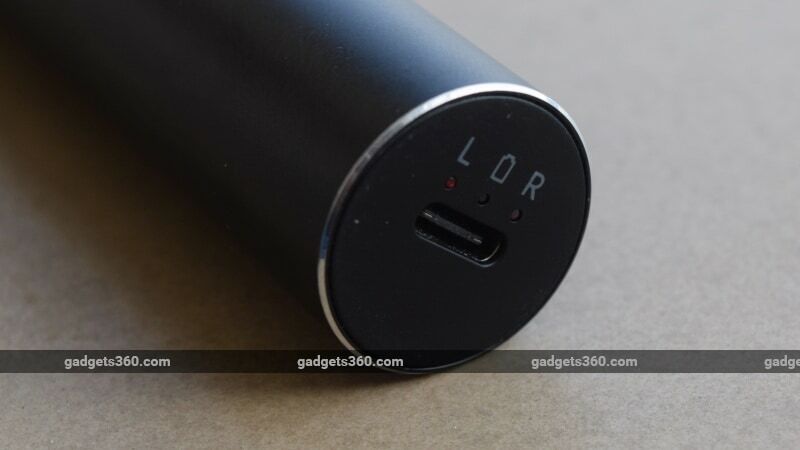 It's longer, and contains a battery that can charge both earbuds four times over. The bottom of the case has indicator lights to let you know the battery level of the case and whether the buds are charging, which is a convenient touch. The process of charging the Nokia True Wireless Earbuds is as unique as the case itself. One contact point touches the grille of each bud, while a second makes contact with the metal part of their casings. Once you've inserted the buds into the case properly and shut it, the buds power down and charging begins. However, getting the True Wireless Earbuds in place isn't as simple as we would have liked. The buds have to fit into their grooves perfectly, and the space is snug. If you don't get it right, the case simply won't shut. While we struggled with this initially, we eventually got the hang of it. Another point worth noting is that only the right earpiece can be used as a standalone device; the left one simply will not connect to a source device on its own if the right earpiece is switched off. When using just the right earpiece, unless the left earbud was switched off, the right earbud gave too many connection prompts, which quickly grew very annoying. This might be a minor inconvenience, but it's definitely worth keeping in mind that the True Wireless Earbuds are ideally meant to be used as a pair unlike, say, the AirPods. Not much about the specifications of the Nokia True Wireless Earbuds is listed, apart from the fact that they work over Bluetooth 5 and have an IPX4 rating for water but not dust resistance. While codec support isn't listed, during our testing we were able to see that the Nokia True Wireless Earbuds only support the SBC codec, with no support for aptX or even AAC. We've said this before and we'll say it again — support for aptX and AAC should be the standard on all higher-priced Bluetooth audio devices. The small size and low weight of the Nokia True Wireless Earbuds makes these among the most comfortable pairs of truly wireless earphones we've used. There was no need for wings or fittings to make them stay securely in our ears; we found the buds to be light enough to stay in place and comfortable enough to wear for hours at a stretch. The Nokia True Wireless Earbuds each have a button that can be used to control playback, volume, and power. A very long press (about six seconds) on either button powers the pair off at the same time, but turning each one back on (understandably) required both buttons to be pressed individually. A long-press (about three seconds) on the left or right earpiece will take you to the previous or next track respectively. Similarly, a double-tap on the left button decreases the volume and a double-tap on the right increases it. A single press plays or pauses music, or answers calls. The controls are convenient and we got used to them quickly. No matter how you put the earphones on, you should be able to access the buttons easily when needed. The Nokia True Wireless Earbuds are available in just a single colour: black. The earpieces are each rated to run for four hours on a single charge, with the charging case capable of topping up both their batteries four times over. We were able to come close to these figures during our testing; we easily achieved four hours from the buds on a couple of occasions, but the charging case was able to top them up only about three-and-a-half times over. On the whole, the Nokia True Wireless Earbuds offer a great combination of premium build quality and useful specifications, only lacking in wider codec support. As with the Samsung Galaxy Buds, the Nokia True Wireless Earbuds are positioned against the AirPods, but with a more Android-friendly and universal approach. Between the Nokia and Samsung options, the former comes across as easier to get started with no matter what smartphone you are using. There is no app; pairing only requires the standard Bluetooth options on your source device. You'll be able to see the battery level of the earbuds on your smartphone, provided it is running Android 8.1 / iOS 9 or newer software. Bluetooth 5 ensured a stable connection for us during our time with the Nokia True Wireless Earbuds, although we did feel the absence of the aptX codec in sound quality. Performance wasn't quite as good with the Nokia True Wireless Earbuds as with a pair of Apple AirPods (when used with an iPhone) or the Samsung Galaxy Buds (when used with a Samsung smartphone that supports the Scalable codec), but the USP of the Nokia Earbuds is versatility. Indeed, this pair of earphones provided the best sound we've heard from any truly wireless earphones when streaming using the universal SBC codec. Yes, this sounds a bit too specific, but considering that the vast majority of users don't have iPhones or relatively new flagship Samsung smartphones, what's needed is a headset like this that sounds good with even the most basic smartphone, rather than depending on software compatibility to bring out the best in performance. 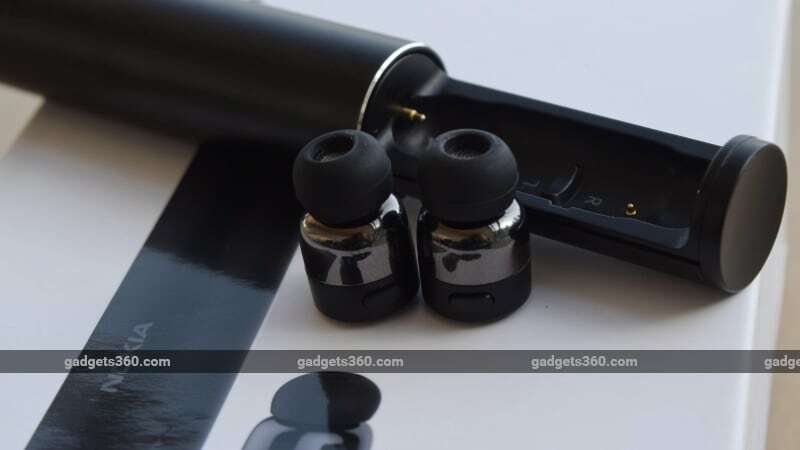 The Nokia True Wireless Earbuds provided decent sound quality for the price with the OnePlus 6T and MacBook Air that we used as source devices for this review. Their sonic signature is tuned for popular genres, and they handled frequencies across the range capably. Listening to Angels Deserve To Die by Jalebee Cartel on the Nokia True Wireless Earbuds was a treat for us, with the low-end suitably pronounced. The bass and attack were strong, with a tightness and sense of finesse that we haven't heard from any of the other truly wireless earphones we've reviewed so far. We wouldn't say that the bass is as punchy as it is on the Samsung Galaxy Buds, but we certainly felt it to be more refined and enjoyable. This track also showcased the excellent soundstage of the True Wireless Earbuds, with a wide and open sound. The depth and feel of softer elements were as discernible as louder and more defined sounds, and they were never lost under the tightness of the bass or the excellent highs. While there is a definite reduction in response from the mid range, it doesn't heavily affect the enjoyment we derived. Moving on to Love Love Love by Moullinex — a busy track with lots of distinct instruments playing quickly with each other — we felt the shortcomings of the SBC codec. The aptX codec would have made for better instrument separation and imaging, and while the earphones were doing as good a job as any similarly priced options in handling this track, the sonic image felt a bit underwhelming on the whole. The Nokia True Wireless Earbuds are also loud, and are capable of holding their nerve even at high volumes. This however led to a bit of sharpness in the highs when listening to tracks such as Light It Up by Major Lazer, which can cause listener fatigue in the long run. However, sound quality and the overall listening experience were best at moderate volumes on these earphones. Finally, with calls, audio quality wasn't quite as good as it is on competing products. There doesn't seem to be anything by way of call voice enhancement or noise cancellation, and the people we spoke to complained about a lot of background noise on our end. While we could hear our callers' voices, they were often too muddy. The Nokia True Wireless Earbuds are an interesting option that doesn't cost a lot of money, but isn't cheap either. With design, comfort, simplicity, and good sound, the True Wireless Earbuds are an excellent option to consider for users of a wide variety of smartphones, audio players, and laptops. Although limited to the SBC codec, the Nokia True Wireless Earbuds offer capable sound quality compared to most other pairs of truly wireless earphones that are currently available. If you have an Apple iPhone or Samsung smartphone that supports the Scalable codec, AirPods and Galaxy Buds respectively would be better options. For every other smartphone, you won't find a better option for the price than the Nokia True Wireless Earbuds. While there are some minor flaws in functionality and the lack of codec support beyond SBC to consider, the Nokia True Wireless Earbuds still come through as a capable pair of truly wireless earphones. product Priced in India at Rs. 9,999, the Nokia True Wireless Earbuds are the latest compact wire-free earphones from a smartphone brand. We review.